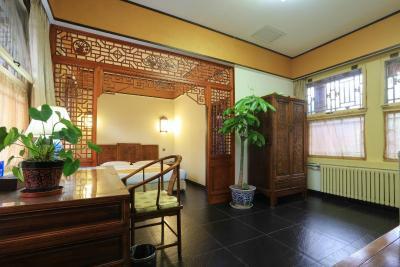 Lock in a great price for Beijing Jingyuan Courtyard Hotel – rated 8.2 by recent guests! 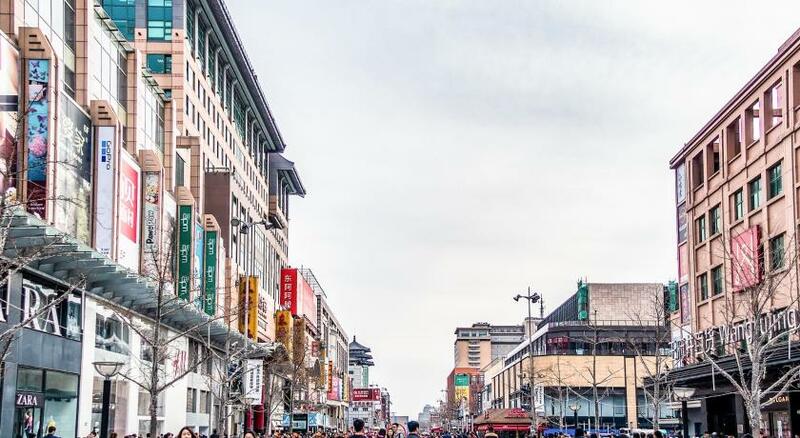 The place is located right behind the famous Wangfujing street. 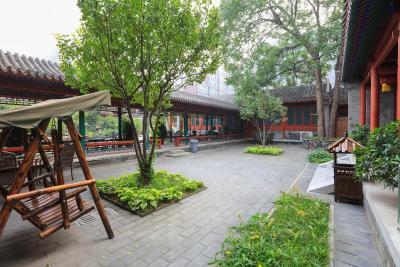 You can easily walk to experience the modern and new technology world, or you could retreat to enjoy the old Beijing type living- hutong culture. 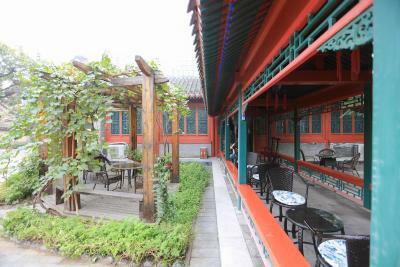 You could either taste the tourist attraction and the Beijing local residents life. It was quite unique. The hotel only has 12 rooms. 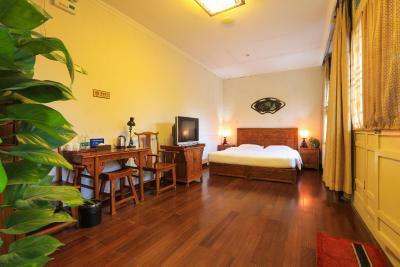 So hurry up if you want to have a special Beijing experience. Staff are helpful and friendly. Breakfast was awesome. Western and Chinese foods. Quiet place with all excitement just around corner. We could walk to everything. The staff was extremely friendly and helpful. They spoke enough English for us to communicate without problem. 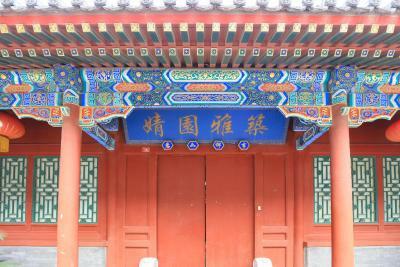 The location was PERFECT for walking to Forbidden City and Tian’anmen Square. Close to 2 subway stations and next door to a very nice mall. The breakfast was good and the room was big. Quiet, too. We left Beijing and upon our return, changed an existing hotel reservation to return to this one. 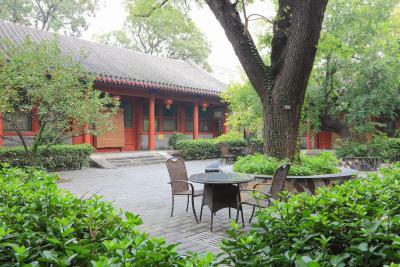 The location is great to walk to Tian’anmen Square and Forbidden City. You pass a market where you can buy bugs on a stick to eat (we didn’t even remotely consider trying them), souvenirs, etc. It is right next door to a mall with Prada stores down to Gap. Very close to 2 subway stations, too. 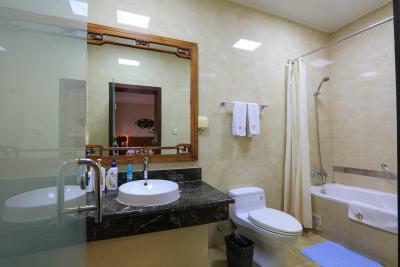 Exceptionally clean facilities and people who spoke pretty good English at the front desk. Excellent location; Staff (especially Katherine) were helpful. 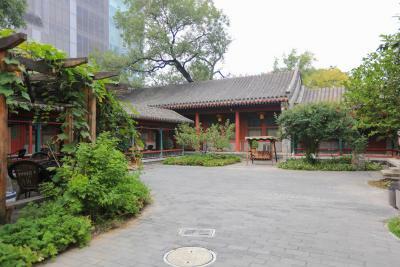 This is an old estate next to modern shopping area (Wangfujing St). 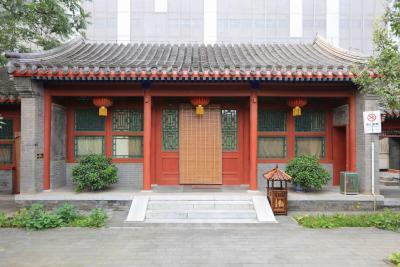 It was a residence of an important imperial minister some 150 years ago. The inside has two levels of courtyard with serene seating, with nearby high buildings and a catholic church barely visible. 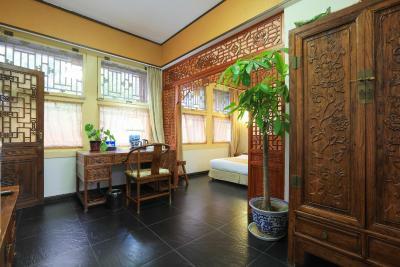 Old style furniture including an ornate bed. We rented an apartment and found that the living room was shared with another apartment. Fairly quiet inside. Many restaurants within five minute walk. 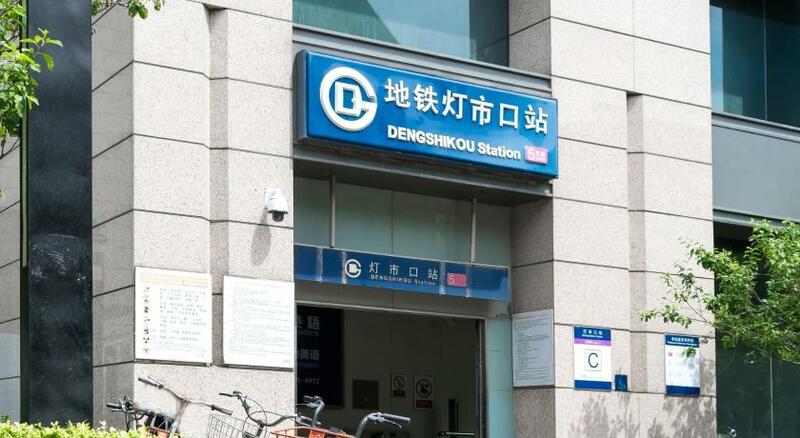 Golden Phoenix towards the Dengshikou metro station was the best we tried,. Two metro stations withing 10 minute walk. 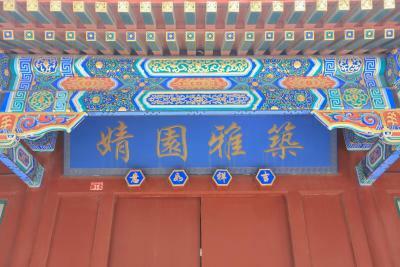 Tianamen square and entrance to Forbidden city about 15 min walk. The personnel very helpful and knowledgeable. Location, location, location. It is in the quite street behind all the fancy shopping malls. Lots of restaurants nearby. Walk to the nearest subway station is about 10 mins walk. The breakfast is good. The location- it is close to everything! The staff are extremely nice and helpful! One of our best sellers in Beijing! 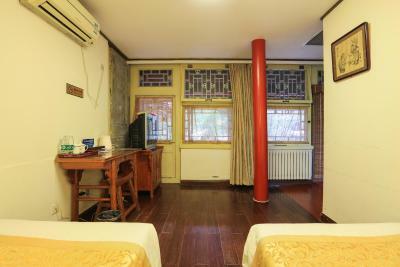 Located next to Wangfujing Church, Beijing Jingyuan Courtyard Hotel is a 2-minute walk from Wangfujing Shopping area. 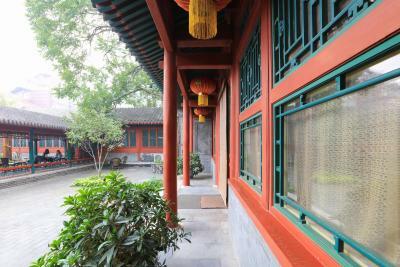 It is a historic courtyard hotel which was Zuo Zongtang’s residence in Qing Dynasty. 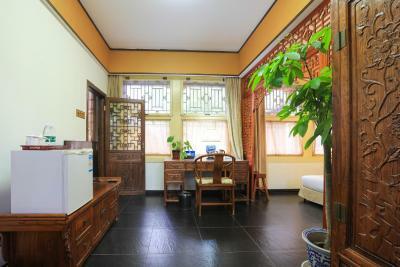 It features classic and antique rooms with a courtyard view. 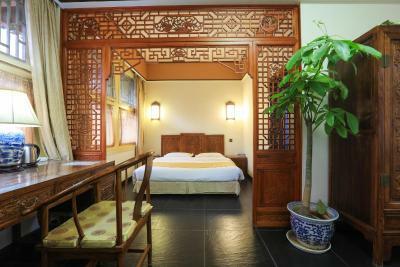 Decorated in a classical Chinese style with its wood furnishings, artifacts and fabrics, it includes both Chinese-style suites and western-style suites. 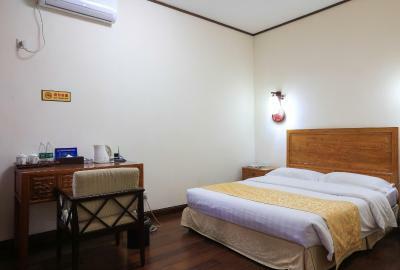 Elegant and cozy, the rooms come with standard amenities and even provide free internet access for convenience. 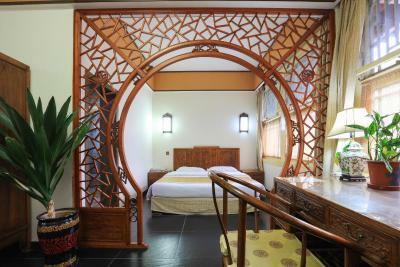 With the distinctive design and beautiful architecture of Jingyuan Courtyard Hotel, guests will be able to unwind and relax with its tranquil atmosphere. 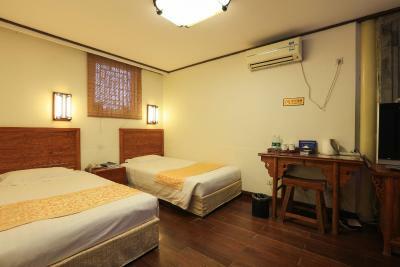 The hotel features chargeable bike or car rentals, free umbrella and free bottled water. 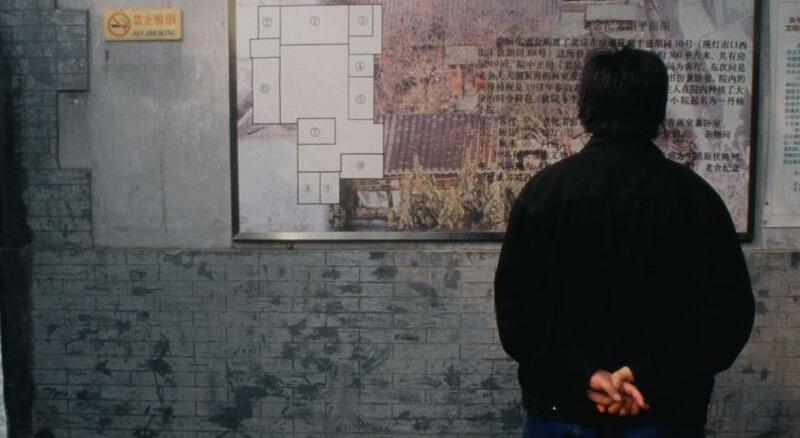 Guests can organize one day trip to the Great Wall at the tour desk. 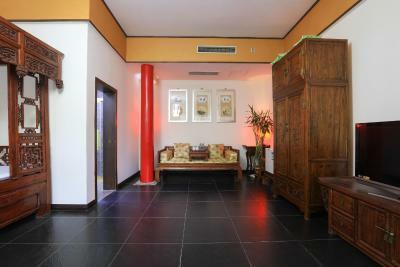 The hotel provides casual dining at its cafe and bar, which includes a variety of food and beverages. Free buffet breakfast is available every day. 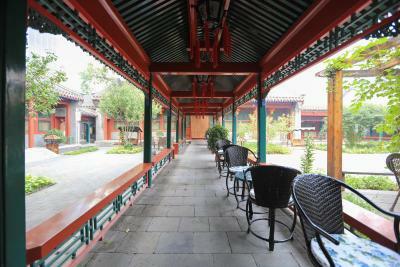 Beijing Jingyuan Courtyard Hotel is within walking distance of numerous attractions that include Tiananmen Square, the Forbidden City and a range of eateries that will tempt your taste buds. 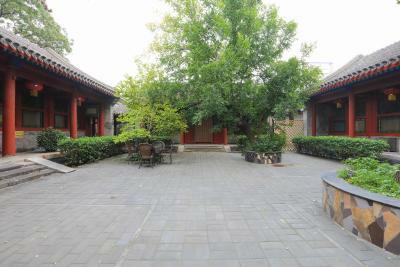 When would you like to stay at Beijing Jingyuan Courtyard Hotel? 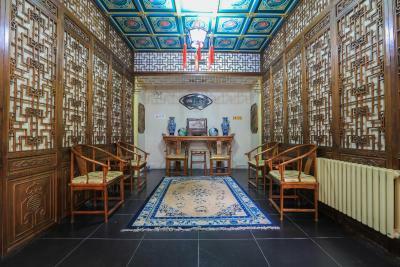 This room features traditional Chinese interiors. 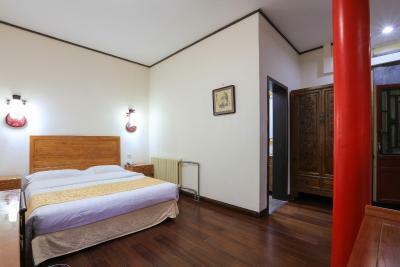 Please note that this suite has capacity for additional beds. 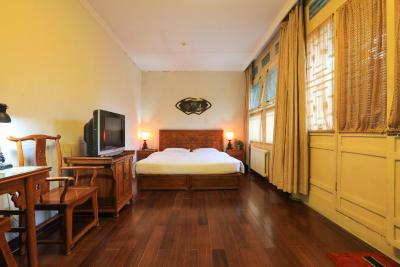 This triple room has a balcony, soundproofing and bathrobe. 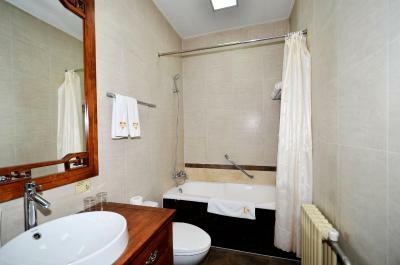 This twin/double room features a hot tub, electric kettle and satellite TV. 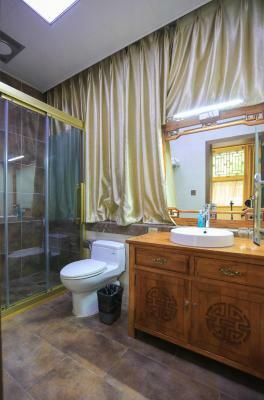 House Rules Beijing Jingyuan Courtyard Hotel takes special requests – add in the next step! 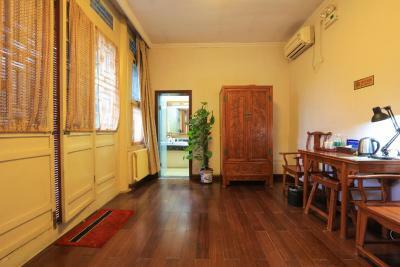 A CNY500 damage deposit is required on arrival (around USD74.57). This deposit will be fully refunded at check-out, as long as there isn't any damage to the property. 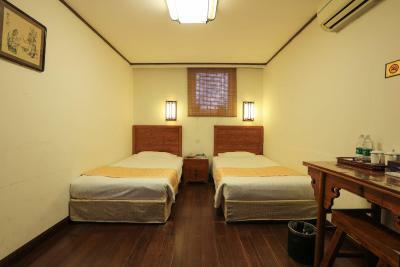 Any additional older children or adults are charged CNY 180 per night for extra beds. 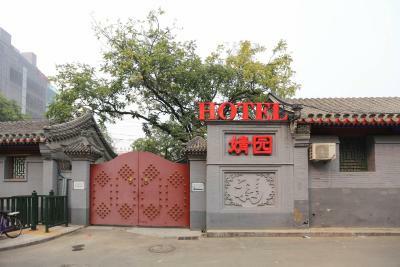 Beijing Jingyuan Courtyard Hotel accepts these cards and reserves the right to temporarily hold an amount prior to arrival. 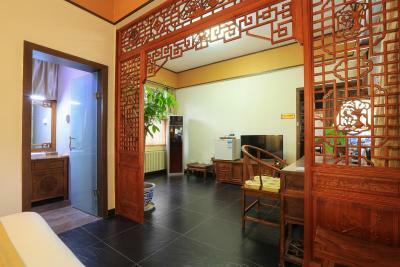 A damage deposit of CNY 500 is required on arrival. That's about 74.57USD. This will be collected by credit card. You should be reimbursed on check-out. Your deposit will be refunded in full by credit card, subject to an inspection of the property. Excellent location! Steps away from Wangfujing St. 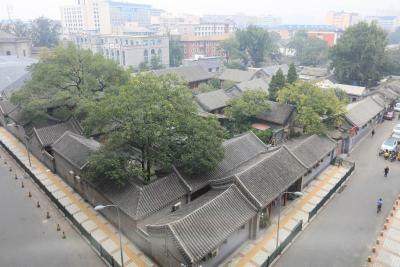 The charm of Old Beijing nestled in amongst the new high-rise and modern ones. We arrived after midnight and the staff was very polite and courteous. Breakfast had a good variety of choices. Hot water and shower pressure were good. Room size very generous Our groups band three generations and all found this quite lovely. We stayed in 3 rooms for 2 nights. 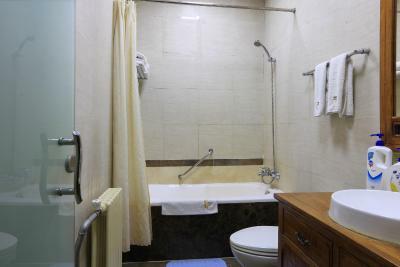 We notified the staff that the bathroom of one of our rooms had drainage problem. They sent a staff to fix it the next day. Unfortunately the problem still existed the next night as the bathroom was flooded again. Good location, nice breakfast. The staff at reception and in the restaurant were very helpful. 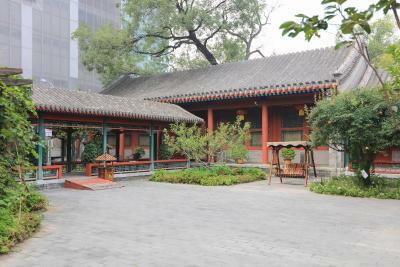 traditional courtyard with history. 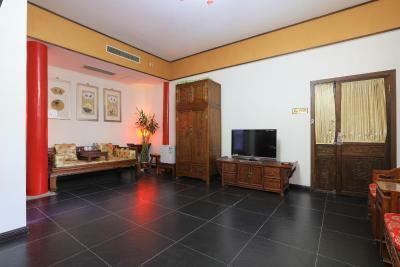 location is very convenient to shopping transportation. breakfast is tasty. High CP value, good price, good location! We stayed for 3 nights. On the 2nd one, there were people working in the courtyard at 12mid-night!! They're packing sand bags and moving bricks! I didn't sleep well that very night. Good location. Friendly staff. Clean bed and room. Tasty breakfast. Thanks to the suggestion of the front desk staff, we ended up calling a taxi to the airport. It saved us from hustling on the tube with a heavy luggage. Much appreciated. Wifi was very very patchy. Staff barely spoke English. My room was outdated and was not very clean. My bed was only made one day out of the six days I stayed there. Breakfast was cold since food was there for a couple of hours. 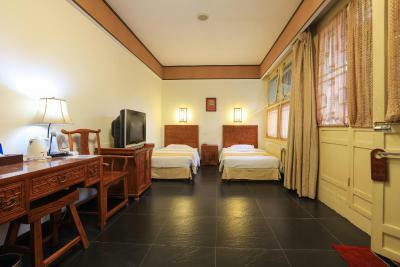 Location is great and staff is very helpful, they booked my ticket for the Forbidden City. Rooms are big and it is very quite, I slept very well. Free bottled water everyday. Very minor issue: padlock on door was difficult to use at night. Breakfast in Chinese style. 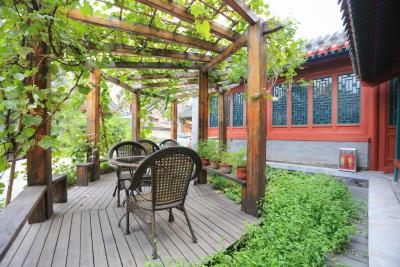 Charming old style Peking courtyard house. 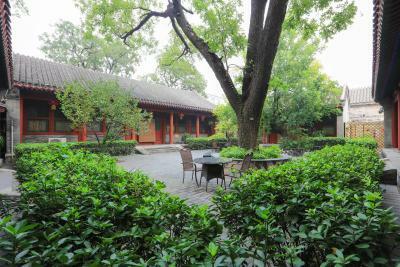 A rare find only 50metres from Wanfujing and 20 min from East gate of Forbidden City. Very special experience of old China. 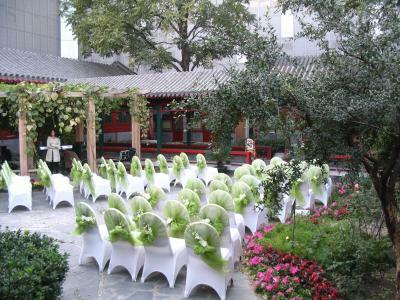 Loved the courtyard and the breakfast. A beautiful ancient courtyard! 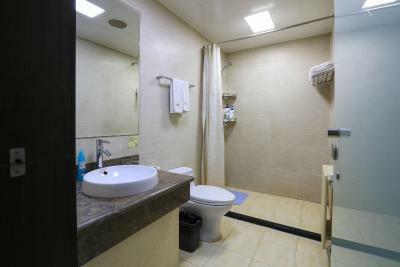 Room & toilet were clean, equipped with good heater. Large size of toiletries provided. Excellent water pressure. Staff were exceptional kind & helpful. Thank you Xiao Jun for her kind assistance. Be it calling for taxis, to contacting restaurant for table reservation. 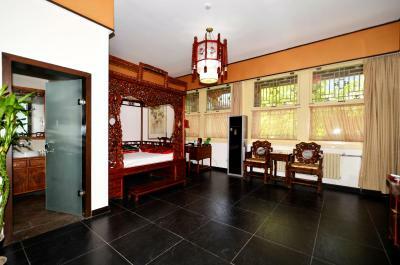 Early check-in not available Late check-out available with charges Luggage storage available for free Breakfast from 7.30am to 9.30am 1 hour drive from Beijing Capital International Airport Booked 2 standard twin room, stayed for 4 nights. 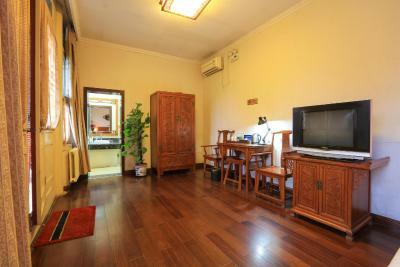 Walking distance to Wangfujing street & Wangfujing station (Nearest station Dengshikou). No regrets.